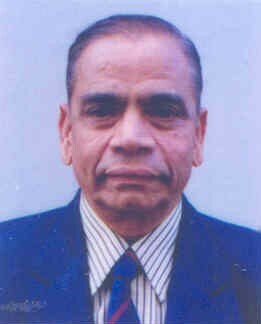 Professor Bharadwaj (M.A. Ph d) had a distinguished academic career. He has been continuously in the teaching profession for over 40 years. He is currently the Chairman of the Institute for Educational Research and Development, Mumbai/Bangalore. One of the top-ranking economists/econometricians/methodologists in the country. Professor Bharadwaj has many notable contributions to his credit. He has authored many books, including Managing Limits to Growth, and papers which has won acclaim from India and abroad. He has also been the initiator of the ‘Structural Method’ – an alternative methodology forged in response to the deepening methodological crisis in social sciences, including economics and education. Professor Bharadwaj had held, and is holding, high public positions. He was an expert Consultant at ECAPE, UNDP, UNAPDC, UNEP, ESCAP. The World Bank, IDRC of Canada and many United Nations bodies. He has been the All-India Co-ordinator for curriculum Development in Economics at the invitation of the University Grants Commission. Under his supervision/direction, several surveys/projects/workshops/seminars have been conducted both in the University and outside. He was a member of the Executive Council of the University of Mumbai. He is also closely associated with the Academic Councils and Boards of Studies in Economics of various Universities/Institutions as well as with other bodies like the U.G.C, the Planning Commission, the ICSSR, the Indian Economic Association, the Indian Econometric Society, and the Indian Society of Agricultural Economics, He was unanimously elected as the President of the Indian Econometric Society, the All India Professional body of econometricians, at its Annual Conference held in Mumbai for the year 1989-90. Recently, he was elected as the President of the All India Input-Output Research Association at Hyderabad. He has been conferred the title of PRAVACHANA CHAKRAVARTY by the Akhila Karnataka Haridasa Sammelan in 1988. Professor Bharadwaj’s research interests are not confined to Economics alone. He has been stressing the ultimate importance of education in human resources development. In fact, the motive for forging a new approach – “The Structural Method” – came from urgent issues like the deepening methodological crisis in education which are intertwined with the well-being of the community. Professor Bharadwaj’s New Approach enables one to view self, sciences and society in an integrative or holistic framework. A team of his colleagues has established a Research and Training Cell along Professor Bharadwaj’s new Approach. Professor Bharadwaj is a man of many parts an economist who is a actor, director, writer, singer and above all a dramaturge. His involvement with the stage spans over four decades. One of his notable contributions was the establishment of his own method in drama based on his structural school of theatre, and training pupils along his method, who in turn, have trained another generation of students establishing what may be called a new ‘Gharana’ (School) in theatre. The Structural School of Aesthetics (founded by him in 1968) uses theatre as a medium to propagate the philosophy of the ‘Flowering of the individual’. As the initiator of the Structural View of Aesthetic and Structural Method of Drama, Professor Bharadwaj has contributed innovatively to the dramatic idiom. His plays have certainly helped to bring about a desirable social change and have been hailed as pace-setters. In recognition of his insightful researches in to the works of a school of folk-philosophers of Karnataka- The Haridasarus – the Government of Karnataka has commissioned Professor Bharadwaj to write a book entitled “A Study of the Methodological Contributions of the Haridasarus of Karnataka”, on the occasion of the World Kannada Conference, organized by the Government of Karnataka in 1983. Professor Bharadwaj has always taken a scientifically and ethically founded independent attitude towards societal problems in his writings, talks and plays. He is exact, precise and fundamental when analyzing socio-economic problems and suggesting solutions.